Mao swims down Yangtze River to try and inspire a new revolution because he wanted to have a 'more youthful' form of communism. 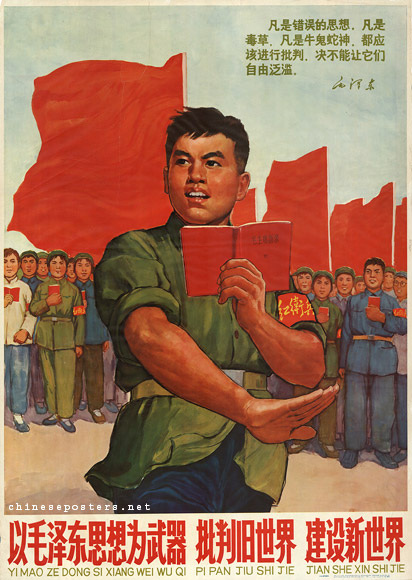 This action dominated by youth (red scarfs and arm bands) which resulted in Little Red Book movement. Red Guards uprooted people and placed them into different jobs (like the Great Leap Forward) so when Zhou En-Lai became Prime Minister (Mao's second in command) the Guards became so violent the PLA came in and restored order (army initiated by Zhou) which ended by 1969.